Ok, since my DM’s on Twitter have been blowing up with questions of “Did you see who [insert pro here] followed? !” or “OMG [insert celebrity child here] loves slime and [insert pro here] just posted a picture with slime!!! Are they paired up?? ?”, I figured now was the time to pull the trigger on what I will call an “internet watch” post. This is going to be the place where you find all of the interesting, peculiar, curious, and suspicious goings-on between the pros, junior pros, potential kid celebs, etc. on Twitter and Instagram (and maybe Facebook, if anyone actually still uses it anymore) that aren’t necessarily concrete enough to elicit their own post, but are food-for-thought nonetheless. I’m feeling pretty optimistic about him being a part of the cast – but what do YOU think? 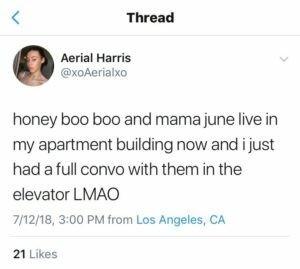 Two other less obvious names being murmured are Stella McDermott (Tori Spelling & Dean McDermott’s 10-year-old daughter) and Mandla Morris (Stevie Wonder’s 13-year-old son). The former apparently runs an Instagram slime account (side note: WTF is with this slime that these kids seem so obsessed with? Is this like Gak(TM) or Floam(TM) that we had as kids??? 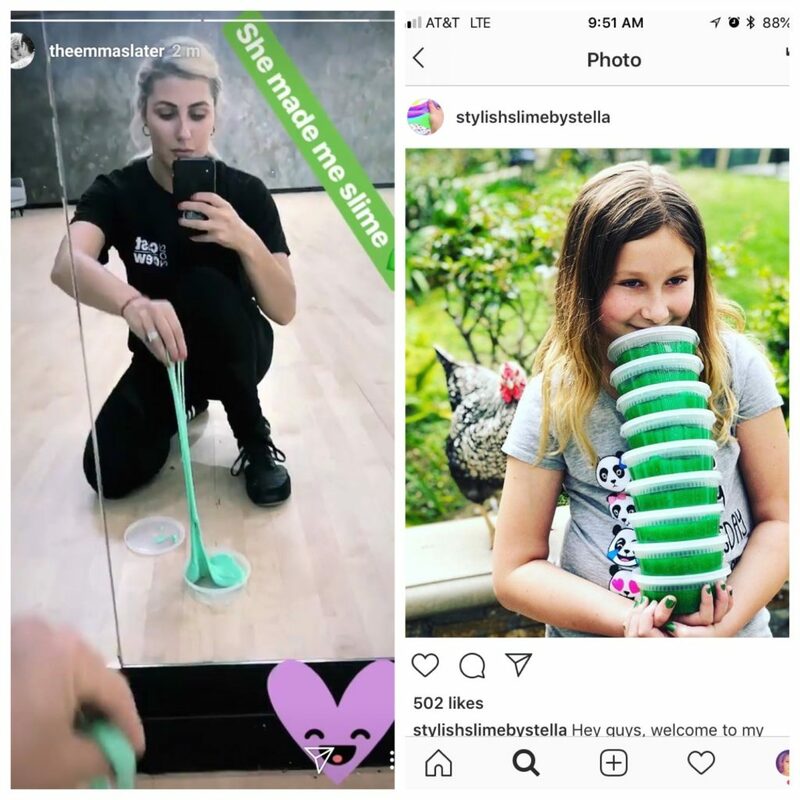 ), and after Emma posted a Snap with some slime that “she” brought her, and some people assumed it was Stella due to similarities in the slime Emma got and some that Stella posted – but since Emma’s mentee is Elliana (and my source says that nearly all the kids in the cast are obsessed with slime), I think we can safely assume it’s not Stella. 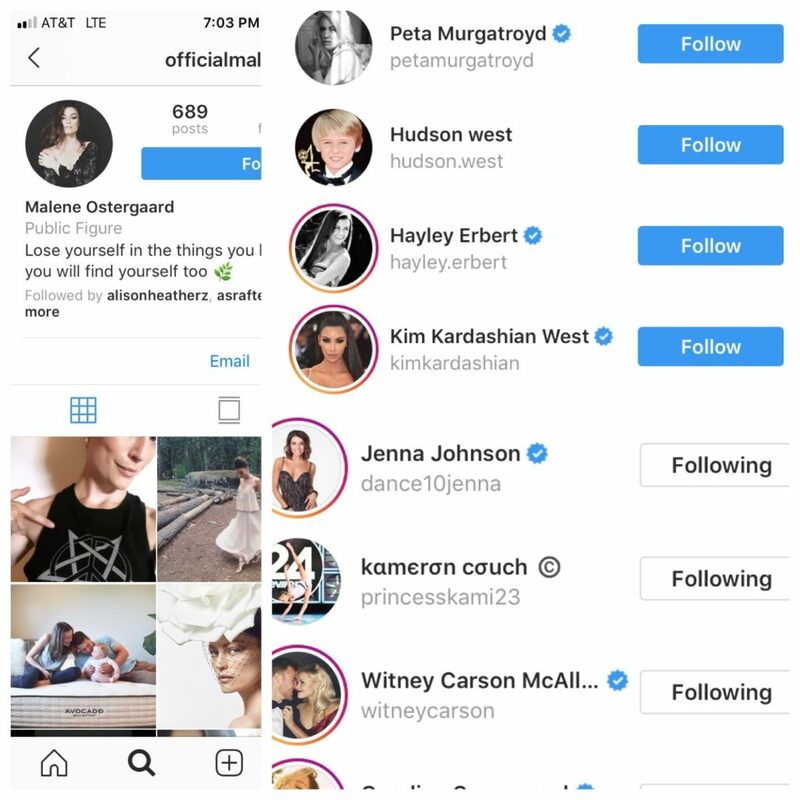 Neither Stella nor mom Tori appears to be following anyone from DWTS, but Stella is the right age and the right kind of celeb for DWTS Jr…so who knows. Update #4: Two interesting things (and one not-so-interesting thing) have been pointed out to me over the last 48 hours. 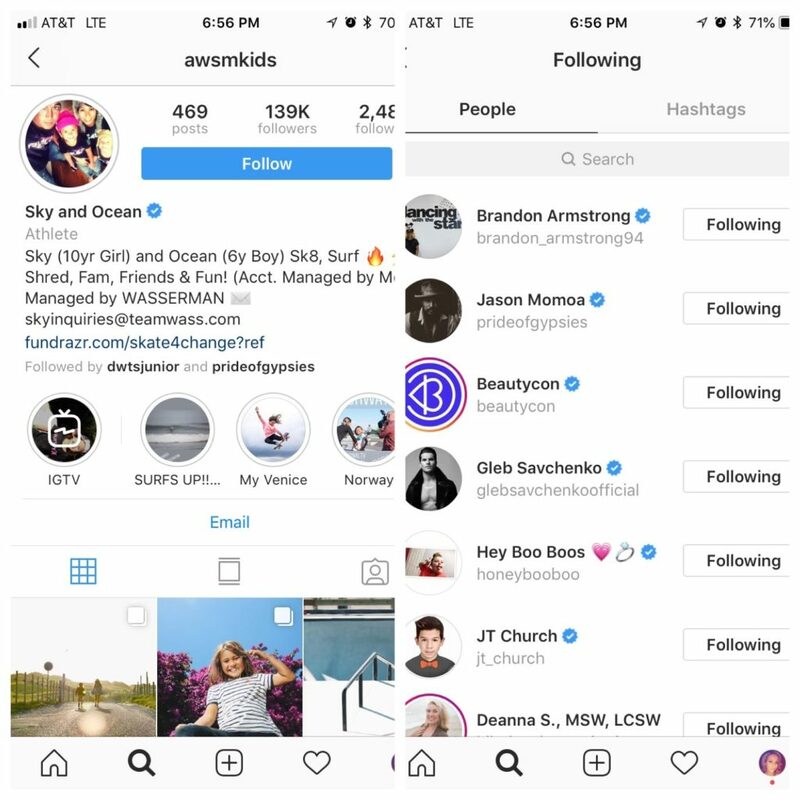 First, 10-year-old surfer/skater Sky Brown started following/being followed by a bunch of the confirmed DWTS Jr. cast members. Second, Frankie Muniz tweeted something awfully interesting about heading to L.A. – keep in mind, the first camera blocking is tomorrow, and while I don’t think they necessarily need the judges for that, they do need the hosts 😎 The third thing (which, admittedly, some of you were driving me a bit nuts about) was former SYTYCD contestant/Danish ballroom competitor Malene Ostergaard following Kami & Hudson on Twitter. 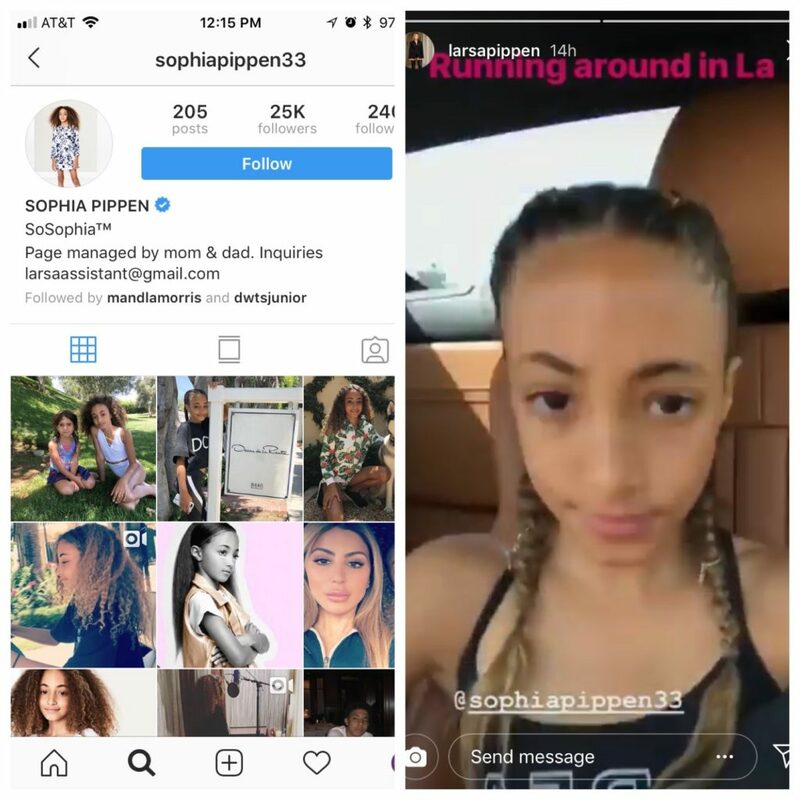 I’m not sure what significance everyone thought she had, but source confirmed my suspicions that she was simply assisting with choreography – she’s not a host, she’s not a judge, she’s not going to be a permanent fixture on the show. Literally just there to help Hayley with choreography. 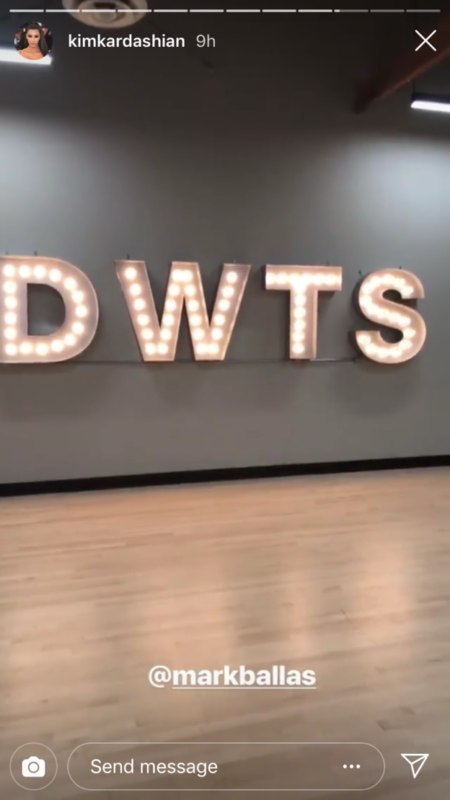 21 responses to "PureDWTS DWTS Jr. Internet Watch – Interesting Things on Twitter & Instagram"
Hello! I was wondering if you heard any word on when the cast announcement may be? Thank you! I’m really hoping Miles Brown is on the show, that kid is a star : he’s a good dancer, good actor and great model for the youth. I was with you last year, I said him or Marsai Martin or both could do the show. And if he’s with Rylee they could be a great team. He was also in the audience on S25 during the finale I think (he was just behing the judges). Hi! Very thankful for all of your info. Completely understand that you won’t spoil the celebs. They are probably so excited and in the moment, but what would be your guess as to the male pros and who they are paired with for mentors? Carol, I’m not going to tell you again – PICK ONE NAME AND STICK TO IT. And if I don’t answer your question immediately, your response should not be to ask a different question as a supposedly different person. I am getting excited to see who winds up with whom just please no drama form the kids or the adults. As to the question about the slime yup it’s the same stuff kids had in the 80’s and 90’s. There are several recipes out there. Hi! Alana followed Alan and Brandon followed Ariana Greenblatt. Not sure if this means anything mentor wise. 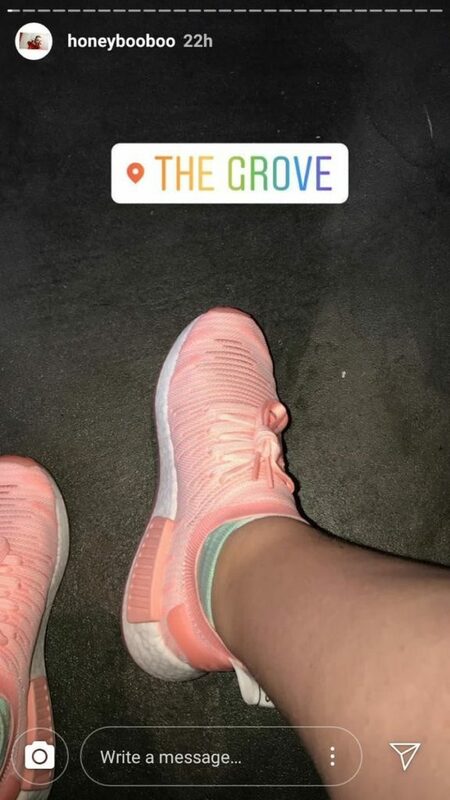 I’ve seen multiple kids following Kenzie Ziegler on Instagram. Is she really a contestant, seems a bit unfair! Maybe a judge! @Carol – Yes, I know Alana followed Alan – I put that in the post. Not sure about Ariana Greenblatt, but I’ll make note. @Carol – You and about 5 other people have all pointed that out to me. I highly doubt she’s a contestant. 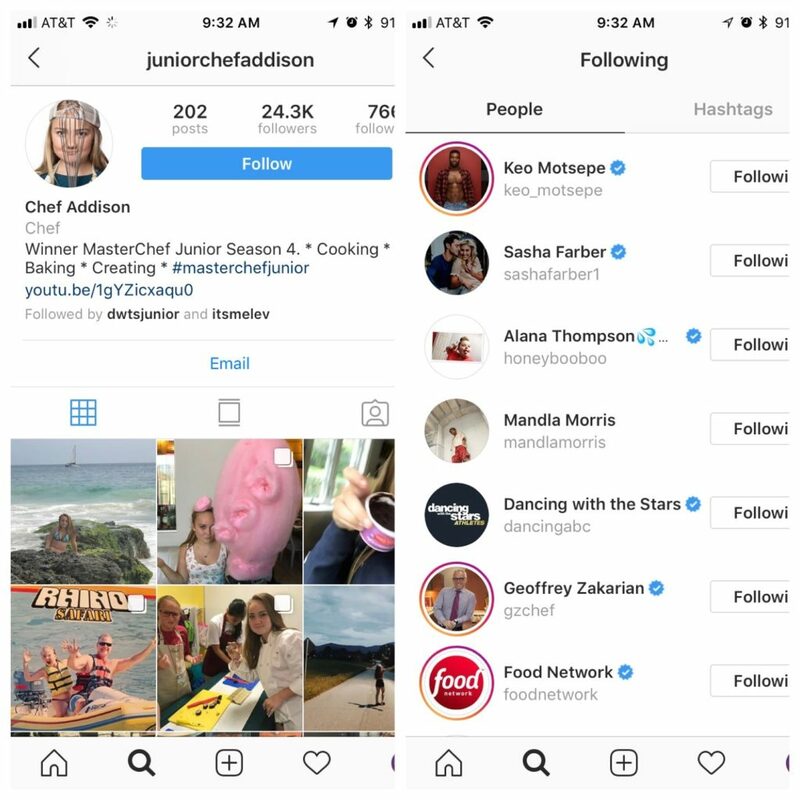 I can’t see Mackenzie Ziegler as a contestant on the show; however having followed up on her on dance moms and even after she and her sister quit the show, I have seen, on instagram, over the past few years that both girls have taken ballroom dance lessons/classes aside from their other genres of dance. Is it enough for the younger one to dance as a troupe member? Possibly?🤔 Is she old enough to be able to judge the show? She just might be the age her older sister was when Maddie judged on SYTYCD but I would have to look up their ages-can’t remember off the top of my head. The producers just might a teenager/Pre teen on the judging panel which, I don’t know, might not be a bad idea considering this show is about kids after all…. I remember her on masterchef. I always called her the little girl with the hat. She is incredible. Tripp palin…..kinda was thinking they would go for him since Bristol was on twice. Was hoping I wouldn’t have to see her again in the ballroom but he could be fun. I hope they ask Peanut Rademacher! They had a cute little segment with him when his dad was on. @Steve – Oh, we remember Peanut 🙂 I doubt he’s on this season, though – as of 9 hours ago, he was in junior lifeguard training, per Ingo’s IG story. Maybe he’ll get asked next season, if there is one. Well, Sage and Kenzie are definitely partners. He was all over Maddie Zeigler’s Instagram page the other day. You were right about that!